Bambi bucket helping to gain control over this massive grass fire. Emergency management officials have issued an evacuation order for a Sunday afternoon wildfire that has burned 877 acres in south-southeast Oklahoma City. Map of the Oklahoma City wildfire at 3:44 p.m. on February 12, 2017. 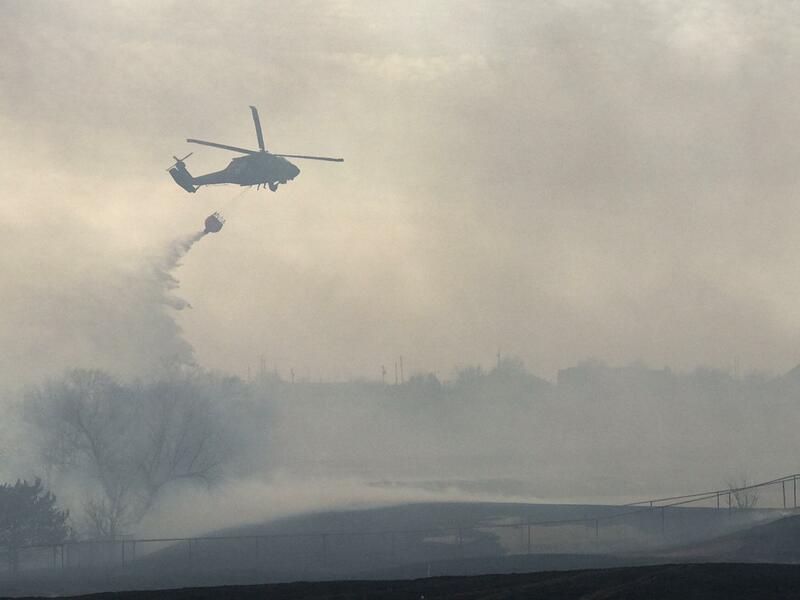 The fire isolated south of Southeast 134th and Southeast 149th between Air Depot and Midwest Boulevard. The fire is moving to the south. Oklahoma City Emergency Management is asking residents south of Southeast 149th Southeast 179th or Indian Hills Road, and from Sooner Road to Midwest Boulevard, to leave the area. Officials request people leave to the south and then go to the east or west. In addition the Oklahoma City Fire Department, the Oklahoma Forestry Service Task Force is assisting in the fire. Army National Guard Helicopters are also on the scene. 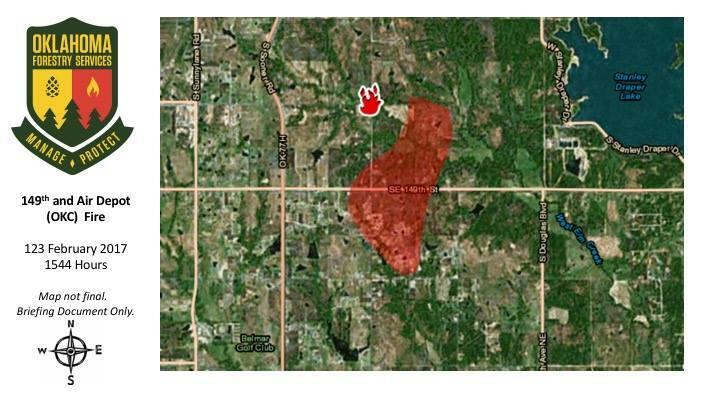 As of 4:00 p.m., the fire has burned 877 acres, according to Oklahoma Forestry Service director and state forester George Geissler. Norman police are assisting Oklahoma City police is evacuating residents from the area.